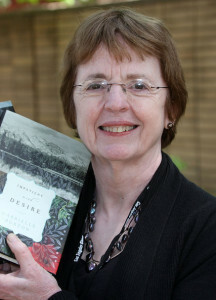 Author Gabrielle Burton, known for her groundbreaking and award-winning novels and memoirs “I’m Running Away From Home but I’m Not Allowed to Cross the Street: A Primer of Women’s Liberation,” “Heartbreak Hotel,” “Impatient With Desire” and “Searching for Tamsen Donner” as well as the screenplay for the MGM film “Manna From Heaven” died in her home on September 3, 2015, after battling stage-four pancreatic cancer for 15 months. She was 76. Burton decided to attend AFI film school at age 56, and went on to win AFI’s Mary Pickford Prize for top screenplay. Her subsequent honors include a Nicholl Fellowship through the Academy of Motion Pictures Arts and Sciences. Her 2003 film “Manna From Heaven” was invited to screen for Congress at the MPAA offices in Washington, D.C., hosted by Sen. Charles Schumer, Rep. Karen McCarthy and MPAA president Jack Valenti. Burton’s articles, essays, and reviews appeared in national publications including the Los Angeles Times, the Washington Post, the New York Times, Family Circle and Ms. magazine. She was a columnist for the nationally syndicated “One Woman’s Voice.” Online, she was a blogger for the Huffington Post and the Nervous Breakdown. A witty wordsmith, she was on the Usage Panel of the American Heritage Dictionary. She was invited to speak at colleges, conferences and seminars around the world, and was a fellow at the Aspen Institute Leadership Seminar, the IFP Screenwriting Lab, Equinox Screenwriting Conference in Bordeaux, Breadloaf Writers’ Conference, Ossabaw Island Project, Yaddo and the McDowell Colony. Her many awards included the Academy of Motion Picture Arts & Sciences Nicholl Fellowship, the Maxwell Perkins Prize for outstanding first novel, the Austin Film Festival feature screenplay grand prize, the Western Heritage Rangler Award for outstanding novel, and the American Film Institute’s Mary Pickford Prize for Screenwriting. Burton was active in campaigning for social justice and human rights throughout her life. She was a delegate in Washington, D.C., for Shirley Chisholm’s run for president, a compatriot of Gloria Steinem working for equal rights in the ’70s, an advocate of peace and thoughtful global engagement. She recently finished a manuscript of “Don’t Sit Down Yet,” a book about aging and living fully until you die, and she was working on a coda called “Tales From Cancer Town” following her diagnosis. Burton is survived by her husband of 53 years, Roger Burton; her daughters Maria, Jennifer, Ursula, Gabrielle and Charity Burton; and eight grandchildren. Gabrielle Burton, a feminist novelist, memoirist and screenwriter who considered conventional marriage lopsided but identified with the pioneering Donner Party wife who perished protecting her husband, died on Sept. 3 at her home in Venice, Calif. She was 76. The cause was pancreatic cancer, her daughter Jennifer said. Her “Heartbreak Hotel,” published in 1986, about seven women sharing a house, won the Maxwell Perkins Prize for outstanding first novel. But she was perhaps best known as the self-identified alter ego of Tamsen Donner, whose husband, George, led California-bound migrants by wagon train into the Sierra Nevada, where they became trapped by early snowfalls in the winter of 1846-47. Tamsen Donner sent their five daughters off to safety with rescuers. Some of the rest of the Donner Party resorted to cannibalism to survive. Rescuers found George’s body the following April, and Tamsen had apparently remained with him until the end before dying herself. Her body was never recovered. In 2009, after 27 years of research and rumination, Ms. Burton published “Searching for Tamsen Donner,” which she described as “part memoir, part historical re-creation” of the Donner chapter. She followed that with “Impatient With Desire” (2010), a fictionalized version of Tamsen Donner’s missing journal. “In the early days of the women’s movements, I felt that we — my ‘sisters,’ my family and I — were pioneers, searching for new ways to work and love,” she said in 2009 in an interview for the author Frances Dinkelspiel’s blog. Sacrifice might come through emotional cannibalism, too, Ms. Burton suggested in an interview with NPR in 2010. Gabrielle Diane Bridget Baker was born in Lansing, Mich., on Feb. 21, 1939, to Clifford Baker, an insurance executive, and the former Helen Dailey. She received a bachelor’s degree from Marygrove College in Detroit and a master’s from the American Film Institute in Los Angeles in 1995. In addition to her daughter Jennifer, she is survived by her husband, Dr. Roger V. Burton; four other daughters, Maria, Ursula, Gabrielle and Charity; eight grandchildren; and a brother, Terry Baker. According to her website, she had recently finished a book about aging called “Don’t Sit Down Yet.” She said the title had been inspired by adult African elephants, who only sit down when they are ready to die. Let’s see, what Groupon suggestions for Mother’s Day presents are flooding my inbox today? There are countless images celebrating motherhood from just about anything by Mary Cassatt to those adorable polar bear cubs snuggling with Momma Bear. 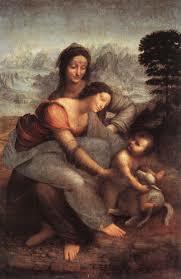 Here’s my nomination for an image that says it all (or at least a lot of it): Leonardo Da Vinci’s “The Virgin and Child with Saint Anne.” Painted in the early 1500s, it hangs in the Louvre Museum in Paris. I’m married to a man who has absolutely no vanity, I mean none, which indicates either a healthy self esteem or cataracts, while I have stood in front of a mirror more than once pulling my facial skin back behind my head, tie it in a knot tie it in a bow, even though there’s a lot of evidence that smooth is never youth and often smooth is alien being. Here’s something to ponder for a nanosecond: Why do celebrities with the world’s resources available to them go to quacks who stretch their eyes so oddly they can’t see how strange they look? What do they see when they look in the mirror? I know what I see in the mirror even if it takes me a second to recognize that old woman. Are they like anorexics seeing fanciful illusions or do they ever say, Holy Cripes, I really messed up there, oh well, maybe nobody will notice. It’s a free country (for the moment), what you do to your own body is your own business, and really, what will a facelift matter when we’re moldering in the ground? Only this: We will never learn to love old people, love ourselves old, until enough of us let ourselves get flat out, unadulterated, unselfconsciously old. I am going to be totally righteous about this just as soon as I stop dying my hair. Wasn’t it just a year or so ago that Gloria Steinem was 40 and a reporter said kindly, “You don’t look 40,” and Gloria said, “This is what 40 looks like.” It was an off-the-cuff remark that started us all on the road to a new definition of 40. This will sound goofy to anyone not in the Western world, but it’s amazing and mystifying to suddenly find yourself old. It’s not as if Old is new. Old has been around a long time. But when does Old start? That’s a toughie. I used to think: Old is 10 years or more older than me. I can remember, quite easily, lying in bed on a summer morning when I was 12 or 13, looking at my arm, wondering if a boy would find it beautiful. The only boy who finds my arm beautiful now is my little grandson who delights in pulling my skin out as far as it will go. Don’t do that, I say. It won’t go back. I like you better than Grandpa, he says. I give a little speech about people being different, hurt feelings, it’s not a competition, and a few more hard won life wisdoms. He says, Grandpa’s bony, you’re mushy. Not that anyone ever mistook me for Kim Novak in her pink dress swaying down the stairs in Picnic stunning Bill Holden, (YouTube it), though in the right light, I had my moments. And I worked at it. Or resolved to work at it. Everyone knows internal beauty is all that matters, but sometimes you just want to get it on the outside. For many years every half-decade was a goal line for me. I’m going to get in shape, lose those five pounds, take better care of my skin, work out regularly by 30. Positively by 40, time’s running out. 45 is pushing it, but I’m going to do it, look at Cher, well maybe not, I can still do a lot with posture. After 45, the half decades became annuals. Every January 1st, Happy New Me, until one January 1st, close as I can figure I was 67 or 68, it was over, there was no way, no exercise, no product, no prayer that’d get me in shape: the new years had run out, baby. Listen to me, if you’re only 60, move it. to have people say that dread androgynous phrase, “She’s a handsome woman,” which means She must have been beautiful once. This will give you a real pang because you didn’t know you were beautiful when you were. There’s an old woman at my hair salon who thinks it’s never too late. She’s my age and 40 pounds lighter. A praying mantis in tiny designer clothes, her diet tip is drinking hot water all day long. She’s going to have a size 1 coffin and I hope they keep it closed so as not to scare the children. Don’t cross the bridge of youth to the scary woods beyond. Whatever age you are, say you’re 50 and feeling the rush and marks of time, remember the odds are you will never be stronger, more agile or attractive than you are at this time. In ten years you will look back with much clearer eye and say, Oh to be 50 again! We’d better face it: though we love our coffee, it isn’t morning around here anymore. Here’s a peculiar thing: Everybody knows that every person who has ever lived, if lucky enough, has gotten old. Since the beginning of time. You may even personally know some old people. But tell the truth: Do you really believe you’ll get old? What happens is that one day you open the door and get a big surprise. Standing there grinning at you with her yellow teeth. If you’re like me, you don’t greet her warmly or invite her in until she hangs around so long it’s embarrassing with the neighbors. I’m writing a book, Don’t Sit Down Yet, and companion blog, about this unexpected visitor. You could call it a coming of age book. And also a coming to terms with age book. Both my book Don’t Sit Down Yet and the blog are about living fully until you die. Or to take Sheryl Sandburg’s phrase a little further: Don’t leave until you leave. Luckily, the beginning of the 21st century is a propitious age to get old in. With the baby boomers starting to collect social security, we are roaring up on the time when Old Is the New Black. The book and this blog have their light parts but they’re not going to be all jokes, because in the end, death and dying are not laughing matters. Though l know people whose dream death is to tell a hilarious joke at a party and, as everybody is cracking up, keel over. Both book and blog will be my take on things. About a 50+ year marriage. About writing and kids and grandkids and a lifetime struggle of trying to balance work and relationships. About the world that was, the world we live in, and where the heck are we going? b) you already know that. I hope this blog will be useful, insightful, provocative, entertaining, but most of all, worth your time. And mine. If you’ll tell me your take on things, this won’t only be about me, it’ll be about us. With luck, it’ll be like life, ever evolving, full of surprises for all of us. No matter what age you are, I hope you’ll join me on this venture. At least until I deliver that once-in-a-lifetime crack-up-everybody killer joke.